This Sunday morning, I sang a popular Christian song in my church on behalf of a baby girl’s baptism. 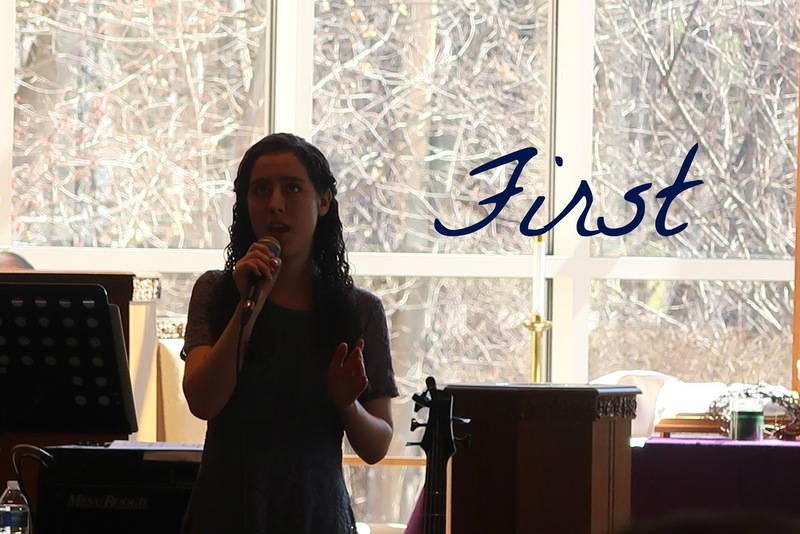 Originally sung and co-written by Lauren Daigle, “First” is such a powerful and strengthening song that is centered around seeking God first. Out of all the times that I’ve performed in my church, getting to sing “First” was a very special and humbling experience since the song reflects my utmost desire to focus on God first. I want Him to take precedence and be a part of every aspect of my life. I want Him to guide me through every choice I make and everything that I do. Like the song lyrics describe, “Before I speak a word, let me hear Your voice. And in the midst of pain, let me feel Your joy,” I want His truth to reflect my words and His love to replenish my heart whenever it feels like breaking. God gave us life on earth in the hope that we would seek a close relationship with Him and remember His love for us. As the common saying goes, “Actions speak louder than words.” So rather than simply saying that we love God, we should prove it by keeping Him at the forefront of our life, and as our guide and companion down the path that leads to eternal life. As a young Christian who is growing up and is more than ever in need of guidance, keeping God at the core of all of my dreams and ambitions is the ultimate goal. And that is why I was inspired to share my thoughts on performing the song, “First,” this Sunday.